I'm trying to fill a layer with an image using a shape as a layer mask. I would like to have the inner shadow I added to the shape show once I fill it with an image. However, as expected, the image covers it. I tried with an image fill but I'm not able to control what part of the image shows within the shape. Any ideas? Not the answer you're looking for? Browse other questions tagged mask sketch-app fill or ask your own question. How to apply filled mask to an audio spectrum layer? 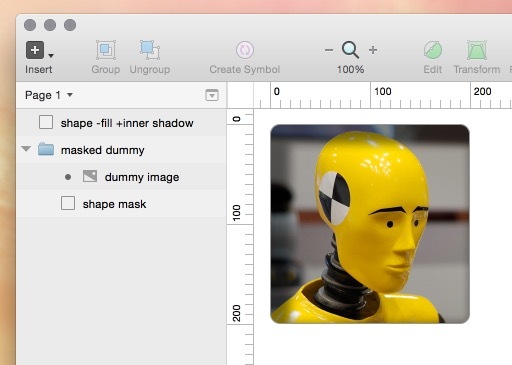 Sketch-app: How do I edit an existing image mask? How to use several shapes together as a mask in Sketch?